BOB GARFIELD: This is On the Media. I'm Bob Garfield. BROOKE GLADSTONE: And I’m Brooke Gladstone, with Part 4 in our series, "Busted: America's Poverty Myths.” This time, it’s the myth that America’s social safety net, though imperfect, still is able to catch people in economic freefall before they slam the pavement. But there’s no way to confront that myth without conveying how that sounds. So prepare yourself for the narrative equivalent of boom-splat. You may have heard of GoFundMe, the crowd-funding platform where people donate money for projects or to help others in need. Even assuming that some of these campaigns are scams, the volume of heart-wrenching appeals from families ravaged by fires, floods, accidents, illness and death, itself, is staggering. FEMALE CORRESPONDENT: A family is still in shock and in need of help. A GoFundMe page has been set up to assist the family. MALE CORRESPONDENT: Caught in the crossfire, shot in the neck. Donations have been flooding in to reach their goal of $75,000. FEMALE CORRESPONDENT: Actually, [ ? ] died from her injuries from a car crash. Now the family is trying to raise money for her funeral and medical bills by setting up a GoFundMe page. BROOKE GLADSTONE: Some appeals get media or go viral, most don't. Jodi Speidel’s GoFundMe page last year recounted how after failing to secure public aid she and her husband Randy, both in their mid-40s and ailing, lived all winter without heat and now lived without water on one meal a day. After no one responded to their online appeal, they put out their hungry cats, posted signs warning of carbon monoxide, hauled two charcoal grills into the bedroom and died inhaling the fumes from the coals. The neighbors said, if we’d only known, we would have helped. How or, more to the point, how much? How much would you? We don’t know all the reasons the Speidels chose to die, but we do know that God-awful luck of the GoFundMe variety is pernicious and that many people cope by engaging in a soul- sapping “Sophie's Choice” over where to spend those last few bucks, food or medicine, rent or gas to get to work? At some point, any one of us could be one of them. MALE CORRESPONDENT: Sixty-four percent (64%) of people don't have enough money to cover a thousand-dollar emergency expense, should it arise. BROOKE GLADSTONE: Nearly half reported to a government survey that they'd struggled to come up with $400, 400! MARK RANK: It turns out that a number of Americans are touched by poverty during their lifetime. In fact, the rate is exceedingly high. BROOKE GLADSTONE: Mark Rank, author of Chasing the American Dream, says the question is not whether we’ll experience poverty but when. MARK RANK: So our latest data indicates that between the ages of 25 and 60, nearly 40% of Americans will experience at least one year below the official poverty line and 54% of Americans will experience below 150% of the poverty line. BROOKE GLADSTONE: Say you have some cash but need government aid to recover from a crisis, to qualify you must contend with asset caps. Eight states have killed their caps but more than half of them require aid recipients to limit their own assets to somewhere between $2500, down to $1,000. In some places, you may be asked to cash in your college fund, possibly your IRA and pay the penalty and maybe sell your car, if it's worth a lot, and then prove you did all that with reams of paperwork. If you screw up the paperwork, you could be out. If the state screws up your paperwork, you could be out. If GoFundMe comes through with some cash and you take it, you could be out. DEMICKA GILMORE: This is my room. MALE CORRESPONDENT: This is where Demicka Gilmore and her daughter sleep, just a few blankets on the floor in Section 8 housing, but she isn't complaining. DEMICKA GILMORE: I’m glad I’m not in the car, freezing. BROOKE GLADSTONE: Two months earlier, Gilmore and her two kids lost their home because her daughter Tavi was being treated for bone cancer. It had already claimed one leg, and caring for her cost Gilmore her job. They did have food stamps with medical aid to pay for the chemo but nothing to live on, so she launched a GoFundMe page. MALE CORRESPONDENT: Three-hundred forty-one (341) people, most of them complete strangers, donating more than $15,000. DEMICKA GILMORE: [LAUGHS] I was crying. BROOKE GLADSTONE: After telling her government caseworker, Gilmore was notified that if she kept that money she’d lose her food and medical assistance, including the chemo coverage. MALE CORRESPONDENT: Demicka could keep the money, pay for everything out of pocket until it's all gone and then reapply for benefits, but she feels that defeats the purpose of people's generosity. That nest egg would go a long way toward filling your cupboards, getting her out of state-subsidized housing and back in the workforce. DEMICKA GILMORE: I don’t know, it just doesn't make sense. BROOKE GLADSTONE: Tavi died last month, but Gilmore couldn't pay for the funeral because she’d been caring for her all that time, so the community launched a GoFundMe page to cover expenses and raised nearly $4,000. Since Tavi was no longer receiving disability, they were able to keep the money. RACHEL BLACK: It has to do with a basic mistrust of people in poverty. If we were making policy based on data, our social safety net would look very different than the way that it does. BROOKE GLADSTONE: New America's Senior Policy Analyst Rachel Black. RACHEL BLACK: It would catch people at a much higher level, rather than imposing a level of destitution that makes it very challenging really for anybody to ascend out of. So we’re not talking about data, we’re talking about ideology. REP. PAUL RYAN: I believe in a society where we help people who cannot help themselves, we help people when they’re down in their luck and we have an incentive-based system where people want to get up and make the most of their lives for themselves and their kids. BROOKE GLADSTONE: Congressman Paul Ryan, in 2010. REP. RYAN: We don't want to turn this safety net into a hammock that ends up lulling people into lives of dependency and complacency. LINDA TIRADO: If you go get a job and you get two extra hours, you get your benefits cut because you're making too much money. It's an insane system, and that's where I agree with Paul Ryan. We have absolutely dis-incentivized people to be able to do anything with their lives. BROOKE GLADSTONE: Linda Tirado, who's experienced poverty much of her life, is author of Hand to Mouth: Living in Bootstrap America. LINDA TIRADO: The problem isn't the welfare. The problem is the way with which we administer it. If we were worried about giving people what they needed to get back on their feet, if we were worried about giving people enough support that they could go be contributing members to society beyond their debt and minimum wage job, we would be actually giving people money. We would be buying things that they need. The problem is that we need the tiniest modicum of compassion and generosity in a system that’s set up so that we don't have people dying on the street, like we do now. Yes, welfare is a failure and it's because we've never trusted it and we've never done it properly. BROOKE GLADSTONE: I was wondering about the Speidels who killed themselves after GoFundMe failed them. I couldn't find out much, except that they’d lived in Bellefontaine, Ohio, which was the setting for the 1934 film, The Old Fashioned Way, in which WC Fields famously juggles. Nineteen-thirty-four (1934) was the year of one of the worst storms of the Dust Bowl, the year lawmen gunned down John Dillinger and Bonnie and Clyde. Unemployment was falling but the Depression would drag on another eight years. As for WC Fields, he started out in vaudeville as the genteel tramp who juggled. I was thinking how that character might resonate even today, with so many people struggling to keep a roof over their heads by keeping a lot of balls in the air. BROOKE GLADSTONE: Matthew Desmond, author of Evicted: Poverty and Profit in the American City, says that during the Depression people were evicted by the hundreds. Now it’s by the millions. MATTHEW DESMOND: Evictions used to be rare in this country. You know, they used to draw crowds. But we've reached a point today where a majority of poor renting families are spending most of what they have on housing costs, and one in four of those families are spending over 70% just on rent and utilities. You don’t need to make a huge mistake, you don't need to have a big emergency to invite an eviction. Something very small can do it. MARGARET SMITH: Hello, how are you? CASEWORKER: You can come on in. BROOKE GLADSTONE: - recorded here at the YWCA Family Center, a clean and orderly homeless shelter in Columbus. Ohio. MARGARET SMITH: My name is Margaret Smith. MARGARET SMITH: And I have six children, five boys and one girl. The reason I ended up in the shelter is because my son was shot outside of our house. CASEWORKER: How old is he? MARGARET SMITH: He’s 17. He knew the girl. He used to date her and he didn’t want to be with her anymore. She came with some guys and they shot my son six times. He’s like, Mom, help me, I feel like I’m about to die. I says, you’re not gonna die on me today. All the kids was sitting there, they were watching. I’m seeing this bloods gush out of his neck, so I grabbed a blanket, put it around his neck, put a knot in it. I told my 15-year-old daughter, I said, I need you to put your hands right here and apply pressure to his neck. My 11-year-old went to get a pillow off the couch to elevate his head. He says, Sissy, keep talking to me, talk to me, talk to me. The ambulance finally got there. As he’s in ICU fighting for his life, I go home three days later, I go to the, the landlord to pay the rent, she tells me, did you get the eviction notice? I say, what eviction notice? She said, well, you have a three-day eviction notice. So I called the attorney that was over at the property. What I did was made a mutual decision to leave in three to five days, but I let him know that I can’t leave in three because I’m still at the hospital. MARGARET SMITH: A crime was committed on the property, but it wasn't the people that lived in the property that committed the crime. He was a victim. So I ended up in a shelter. I lost my job. I worked as a customer rep for Southern Connecticut Gas, the gas company. They couldn’t hold my position. They had me go through Aetna to see if they would get it approved under disability. They denied it, so they couldn’t hold my position for the four weeks I needed to take care of my son, so they terminated me. So not only did I lose my place, I lost my job and I ended in the shelter. And not only that, all my kids are spreaded out in different places. My son is still healing. He still has nurses, physical therapy, and it’s just breaking my heart that I can’t be with my kids! MARGARET SMITH: My son is at my mother’s. My daughter is at her aunt’s and my other son is at a cousin’s. And I have the two youngest ones with me here. It’s just been a nightmare. I’ve been trying to find places but every time I go to the place they ask, well, how are you going to continue to pay the rent? I’m going to go to work and pay the rent like any other normal person would do. Just right now, my main focus is getting my children back together in the house. Me and my family were a victim of a crime, so why should we lose everything because of what someone else created for us? It’s not fair. BROOKE GLADSTONE: Tell me about your kids. MARGARET SMITH: My oldest son, Desjuan, he’s a diabetic. He’s 23, a very good kid. He helps me with the children while I work. My other son, Raymond Cook, is the one that was shot. He was 17 years old. Every morning, he would get the kids off to school, which was down the street from my house and then he would go to school. So by him being in the hospital, that was ruined, ‘cause I didn’t have the kids in daycare because I felt like I had enough older kids, we could pull together and make this work. So everything was just all - screwed up. My 15-year-old is my daughter, Tira Cook, straight honor roll student, plays basketball. She wants to be a lawyer when she grow up. She's trying to get a scholarship. My 11-year-old, his name is Delon Smith, he is so supportive. When I was at the shelter in my room I just broke down crying and he grabbed me and he said [BREAKING UP] Mommy, it’s gonna be okay, and he put my big head on his little shoulder. BROOKE GLADSTONE: You see, with some skillful juggling she’d maintained a stable, if fragile, life for her family. But a lethal ex-girlfriend swept in like a hurricane and blew it apart. Margaret has health insurance for the kids and food stamps but no money. There's a lifetime limit on cash assistance of 60 months and Margaret had used it all up. Many years ago when her father died, she required long treatments to overcome a suicidal depression. Later, she had diverticulitis and she had to have a mass in her throat surgically removed, then a hip replacement. She needs another one but, obviously, that'll have to wait. Now she has to get all those balls back up in the air. MARGARET SMITH: I got to get my kids out of here. We done came a long way from the projects to me moving, living on my own the last seven years, paying regular rent. I did never want to go back to the projects. I lived there all my life. That project would destroy especially young men. You don’t have a chance. You got people that’s in the gang over here, it’d spoil your kids up. I had to go, but it came to my house. Don’t walk around with your head up high. Some people look at you like, oh, you’re beneath me, you’re this, you’re that, but I’m still a person. I have a heart. I have ambitions. I might not have got there yet, but I'm working towards it. You treat people how you want to be treated, whether they have a dollar in their pocket, a penny or you a millionaire, because you never know when it’s your turn. Anything can happen. You might be on top of the world tomorrow, but it can end for you the next day and you will go through poverty what we going through. JAMES BALDWIN: You are 30 by now and nothing you have done has helped you to escape the trap. But what is worse than that is that nothing you have done and, as far as you can tell, nothing you can do will save your son or your daughter from meeting the same disaster and possibly coming to the same end. LINDA TIRADO: If we accepted that the problems are systemic that millions of people would not be falling into the same patterns if those incentives weren't there, if those paths weren’t cleared for them, if that wasn't the way society ran, right, if we accepted that, then we would have to accept our own complicity. LINDA TIRADO: We would have to accept that our home mortgage tax deductions are coming off of the back of a family that could use an extra 20 cents for food stamps that month, that some college student somewhere is living in poverty because they can’t access programs because we want our tax deductions and we want our stuff. BROOKE GLADSTONE: Athens County, Ohio, Appalachian country, has 6% employment, and yet, more than 30% of people living below the poverty line because they work mostly part-time minimum wage jobs and they drive a long way to get and keep those jobs. JACK FRECH: You know, you got literally like a million or more people driving around without a driver’s license because they can’t afford car insurance. BROOKE GLADSTONE: Former Athens County Welfare Director Jack Frech drove me across his old turf. JACK FRECH: And, of course, that throws them into the whole legal system. They owe fines, they owe reinstatement fees, money that they could never come up with, and essentially making them criminals because they’re too poor to drive a car, which they have to do if they’re going to keep a job, you know. So, you know, we put poor people in these situations that are totally untenable. BROOKE GLADSTONE: Just 16% of the poor here get food stamps which, in any case, are designed to cover only three-quarters of a family's needs, so most families run out before the end of the month. 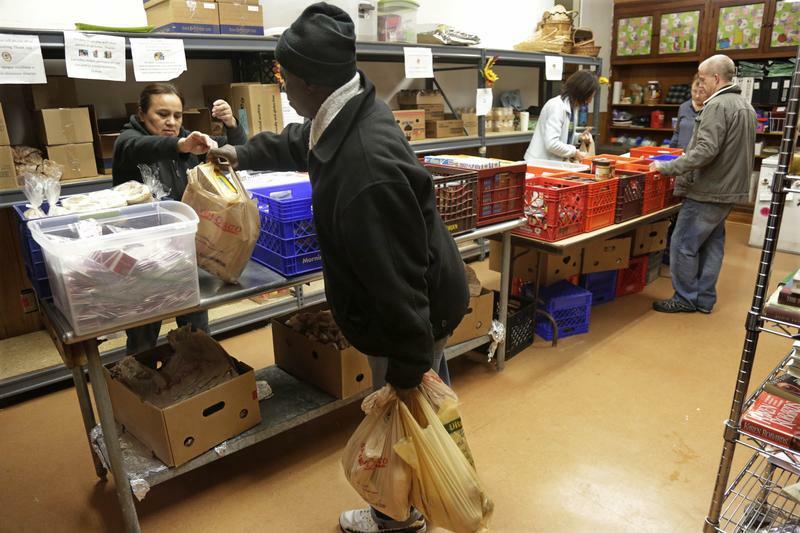 That puts a lot of pressure on local food pantries, like Friends and Neighbors Community Food Center in Coolville, population 500, which serves a thousand meals a week. Stacks of used clothing are laid out on tables, shelves of lamps and plates, a random selection of appliances and knickknacks filling a large light room. The food is in the back, all you have to do is ask. CONNIE ELICK: If you have a need and I find out about it, I'm gonna see what I can do to help you, no matter what it is. It doesn’t matter. BROOKE GLADSTONE: Connie Elick used to be a customer at the pantry but now she manages the place, since the founder, Lisa Roberts, died earlier this year. But before Lisa died, she hit upon another need that no one else had thought to fill. CONNIE ELICK: We have 13 acres, so we designated an acre to an open cemetery. Lisa wanted to be buried there but she also knew there were people in the area that could not afford a funeral or a cemetery plot. We will bury ‘em here for nothing. BROOKE GLADSTONE: GoFundMe is filled with people desperately seeking money to bury their dead. In England, this is called funeral poverty and it’s agonizing. LOTTIE LAWSON: And in the last five years, I, I have buried a husband, my grandson, my son. I helped bury a friend. Yeah, it is something that’s really needed and it's wonderful that she did that. BROOKE GLADSTONE: Lottie Lawson is timeworn and frail. She said her husband's insurance almost covered his burial back in West Virginia but she still can't afford a tombstone, and the deaths of her son and grandson were totally unexpected. She told me funerals cost over $7,000. LOTTIE LAWSON: And you have to pay and pay, then you have to do without something else. It’s been really rough. It was great to come out here and know that, that we – you know, you’re gonna be all right ‘cause you’re gonna have food. BROOKE GLADSTONE: Connie says that Lisa hit upon the idea of the Friends and Neighbors Cemetery when a young man who worked for her husband Kenny lost his mom. The young man was poor, so Kenny made the coffin. CONNIE ELICK: It was satin-lined, it was beautiful. The hearse was our Friends and Neighbors van [LAUGHS] and the burial is at one of their friend’s home. That way, there was no cost to them. Lisa did her makeup, her hair, dressed her. But there's a funny part to that story, if you can find that funny. Lisa's mother was in the hospital and they had stored this lady in Lisa's mother's house [LAUGHS] until the burial, so when they went to pick up Lisa's mother at the hospital they had her in the back of the van. [LAUGHS] We’re talkin’ redneck American country here. [LAUGHING] And they do things like that. BROOKE GLADSTONE: People in extremity often do things that don't make sense to people who aren't. Matthew Desmond, author of Evicted, learned that up close when he spent five months in a trailer park on the edge of Milwaukee that housed the white poor and then nine months in the inner city where the black poor lived. MATTHEW DESMOND: Lorraine was my neighbor in the trailer park and she was spending over 70% of her income to live in a place the city considered an environmental biohazard, at the time. BROOKE GLADSTONE: A 54-year-old grandmother, she loved mystery novels and So You Think You Can Dance. Her trailer, so toxic, was tidy. And that 70% of her income she spent on housing, about a quarter of all renters below the poverty line do. That left her with five dollars a day. Eventually, she was evicted, but she’d skipped rent and other basics to pay for cable and pricey face creams. She riled her kin and her pastor, who said she was poor because she threw her money away. Desmond says the reverse was more true. She threw her money away because she was poor. Once she spent her entire monthly allotment of food stamps on lobster tails, shrimp, crab’s legs, salad and lemon meringue pie, which she ate alone in a single sitting. MATTHEW DESMOND: You know, I was angry, I, I was confused. I didn't understand how I would write about something like that. But Lorraine didn't apologize for it. She was celebrating an anniversary, you know, of her late boyfriend she wanted to do something special on that day. And she made me realize that my job isn’t to apologize for her behavior or to hide it, it’s to try to understand it. And the way I understood it was like, look, if you're someone like Lorraine that’s giving most of what you have to live in a rundown trailer, you know, and you are so far below just stable poverty, right? BROOKE GLADSTONE: Stable poverty means paying the rent, keeping the lights on, having enough food to live on - that’s it. She wasn’t even close. MATTHEW DESMOND: You know, just giving her some sort of stability and certainty about the world, that was such a heavy lift in her life that no amount of scrimping or saving could have lifted her there. And so, if you’re Lorraine what do you do? You know, you pepper the suffering with color. I think that writing about that is something that we need to do because there's these two ways to dehumanize people. One is to cleanse people of all virtue and the other is to remove all sin from their lives. BROOKE GLADSTONE: The safety net is working. Last year, it helped lift 38 million people out of poverty. Without government assistance, poverty would be twice as high. We've increased our investment steadily since President Johnson launched his War on Poverty, but it neglects the people who need it most. If you earn a wage that puts you at or 50% above the poverty line, the US willingly and increasingly lightens your load with vital income enhancers. Despite your pitiful paycheck, you can keep a roof over your head, usually. But if you live in deep poverty, 50% below the line, say, you're a single jobless adult or a single mother who can't find work and manage childcare, the safety net is gossamer, a cobweb. And that’s over 19 million people. Current policy is based on the premise that the poor require different treatment then we who are not poor, because they are different. They’re not. They love their kids. They crave a life with dignity. They hate poverty. There are ways to fix the safety net but we have to understand what it is we’re fixing, and it’s not poor people. It’s a system that is indisputably r – designed, engineered – oh, the hell with it, rigged. BROOKE GLADSTONE: “Busted: America’s Poverty Myths” is produced by Meara Sharma and Eve Claxton and edited by Katya Rogers. This series was produced in collaboration with WNET in New York as part of “Chasing the Dream: Poverty and Opportunity in America.” Major funding for “Chasing the Dream” is provided by the JPB Foundation, with additional funding from the Ford Foundation. BOB GARFIELD: That’s it for this week’s show. 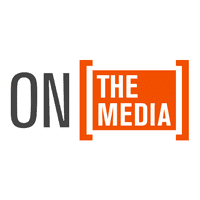 On The Media is produced by Alana Casanova-Burgess, Jesse Brenneman, Paige Cowett, Micah Loewinger and Sara Qari. We had more help from Leah Feder. Our technical director is Jennifer Munson. Our engineer this week was Casey Holford. On the Media is a production of WNYC Studios. I’m Bob Garfield.